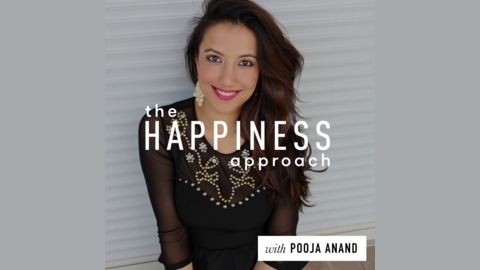 The Happiness Approach is a Podcast Show created by Pooja Anand: a multi-passionate entrepreneur, coach and unwavering optimist committed to helping you become your best self yet. It's a delicious cocktail of positive psychology, neuroscience, self development &amp; productivity studies mixed with Pooja’s own perspectives and personal insights. She aspires to inspire you and hopes that through listening to the podcast show, she can help you can design a life that feels right. Every Monday, a topic under the umbrella of all things self-development, personal growth, productivity, lifestyle, business strategy, motivation, psychology, achievement, health and just about anything Pooja’s currently obsessing about that she thinks would benefit you, will be right here! Sometimes she even shares with you her own personal writings, thoughts, poetry or quotes she's written along the way. Other times, she'll share excerpts from her favourite books and montages of her favourite quotes too as part of a more motivational/inspirational/meditative experience! 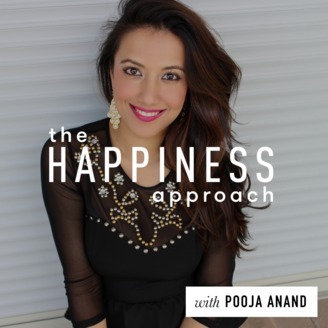 Above all, The Happiness Approach and Pooja’s mission is to inspire you to share the gift that keeps on giving...the gift you bring into the World: your magic, your kindness, your talents, your unique skills, outlooks and just, you being authentically who you are. The World needs more of you in it and the Happiness Approach hopes to bring more of that out! Thank you for embarking on this beautiful path - for being dedicated to your own personal growth and putting in the time, despite your busy schedule. Here's to starting your ripple effect today! Be fearless, be bold and remember to never let your dreams stay dreams! Some say inspiration and motivation are fluffy. But, inspiration and motivation are what start the ball rolling. They move the needle forward, they make people tick, they empower people to begin the most important journeys in life and in the end...what make all the difference. So, be inspired and inspire others - now, let's get listening! SUPPORT THE PODCAST: https://www.poojaanand.com/subscribe THE BLOG (transcripts + more): https://www.poojaanand.com/blog WEBSITE: https://www.poojaanand.com.